Note: There are two versions of this program on the same DVD: 75-minutes and 57-minutes. A FRAGILE TRUST tells the shocking story of Jayson Blair, the most infamous serial plagiarist of our time, and how he unleashed the massive scandal that rocked the New York Times and the entire world of journalism. In 2003 Blair was caught plagiarizing and supplementing his own reporting with fabricated details in dozens of stories published in the Times. The daily operations of the Times newsroom became a public spectacle as every major news outlet picked up the story and ran with it. The fact that Blair is African-American was emphasized again and again as accounts of the 'Blair Affair' served up sordid details in a soap-opera style tale of deception, drug abuse, racism, mental illness, hierarchy, white guilt, and power struggles inside the hallowed halls of the New York Times. Through the course of the film, we follow Blair as he slowly unravels in the face of mounting pressures and distractions. Starting with his 'reporting' of the plagiarized article that ultimately lead to his undoing, we trace the rise and fall of this fascinating young reporter as he clings to his career at the Times even as he is losing his mind. Featuring exclusive interviews with everyone involved, including former Executive Editor Howell Raines and Blair himself, A FRAGILE TRUST is the first film to tell the whole sordid story of the scandal while exploring deeper themes of power, ethics, and responsibility in the mainstream media. "A Fragile Trust is a riveting cinematic achievement that's the closest we're likely to get to penetrating the core mystery of why this gifted young journalist destroyed his career in such a spectacular way. Samantha Grant steers well clear of preaching, but the lessons the film holds for journalists today--with audience trust in ever shorter supply--are vital and unmistakable." "Informative and engaging documentary that will interest media scholars as well as their students...A valuable resource for instructors particularly because of the power of its interviews and the clarity of its storytelling." "A Fragile Trust exposes the flaws in the system and some of the people involved in one of the biggest journalistic scandals ever. With unprecedented access, candid interviews and a decade of perspective, this film unravels and then pieces together the story behind the story." "A Fragile Trust quietly undermines the myth that this was a case of Affirmative Action gone wrong, and serves as an important reminder that personal ethics must hold at the core of a profession devoted to truth. Newsrooms will always will be vulnerable to lone actors more interested in personal advancement than the hard work required to produce serious journalism. This film shows the dangers." "Samantha Grant slowly and expertly unveils the complexity of professional misconduct using Jayson Blair as her muse and the NY Times as the setting. Her use of everyday imagery and thorough storytelling reminds us that in the quest for success, we all are capable of perpetuating deceit. I will be using the film in my ethics class. In its delivery of this lesson along with others equally as powerful, A Fragile Trust should be required viewing for any student who aspires to enter into a trusted profession." 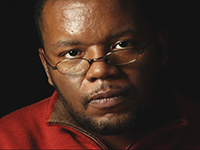 "This documentary unpeels the Jayson Blair debacle like an onion. All of the complex, interwoven issues are given a fair hearing, thanks to the panoply of interviews. We may never fully understand the Jayson Blair case, but thanks to this film, we can understand why it matters." "This in-depth examination of the Blair case will prompt further discussion on the ethics of journalism." "A Fragile Trust is a must-have for Journalism Studies DVD shelves, highly recommended." "A well-made and engaging film...It should be of interest to journalism students, scholars, and practitioners." "Presents a cautionary tale of the young reporter whose work seemed too good to be true...This compelling documentary about one of the biggest contemporary scandals in American journalism is recommended." "An intriguing documentary...Fragile Trust makes the interesting point that it was only with the transition of many newspapers to digital editions that plagiarism became easy." "Well-balanced...meticulous. Portrait of disgraced reporter Jayson Blair raises tough questions about journalistic ethics and personal responsibility in the digital era." "A remarkable film for its probing, its wealth of detail and testimony - remarkable above all, perhaps, in the clinical picture of its subject, one devoid of any efforts to assign mitigating factors to his disastrous career, whether of race or class." "The film is a stellar cautionary tale and morality play that will hopefully inspire future generations of journalists, bloggers and opinion leaders to be accountable for their editorial discretion and how they will distribute information to their audiences." "It should be required viewing for all journalism students, and interesting discussion fodder for pros." "As a subject that destroyed reputations, careers and tarnished the endeavours of working journalists worldwide, journalist, educator and filmmaker Samantha Grant's film A Fragile Trust explores the Jayson Blair story with accuracy and intent, producing a Rashomon style documentary that explores media ethics, issues of race, power and the failure of institutional journalism through a retrospective of the high pressure media world of post - 9/11 New York." "One of the Gray Lady's most embarrassing moments comes to complex life in this tough-minded analysis that explores issues of race, affirmative action and institutional inertia." "Director Samantha Grant chronicles an ignominious but fascinating chapter in modern journalism in this solid doc."